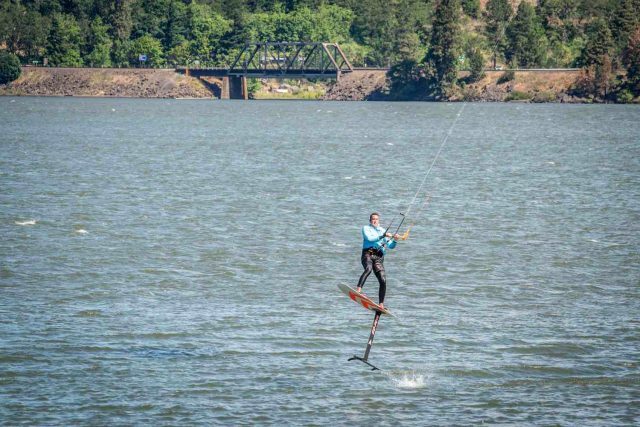 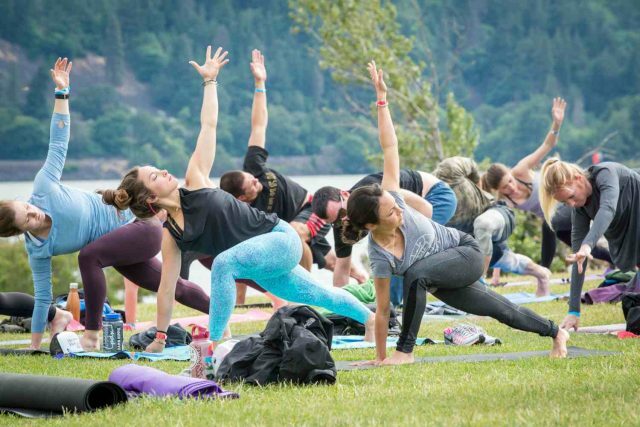 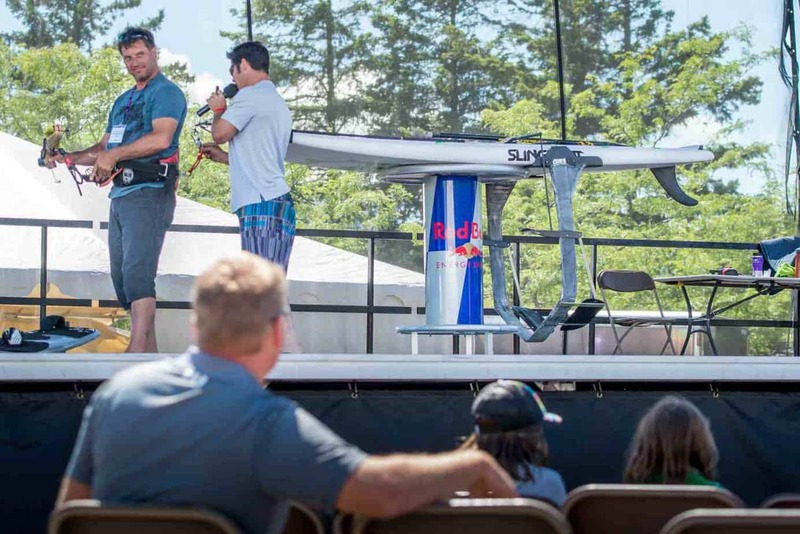 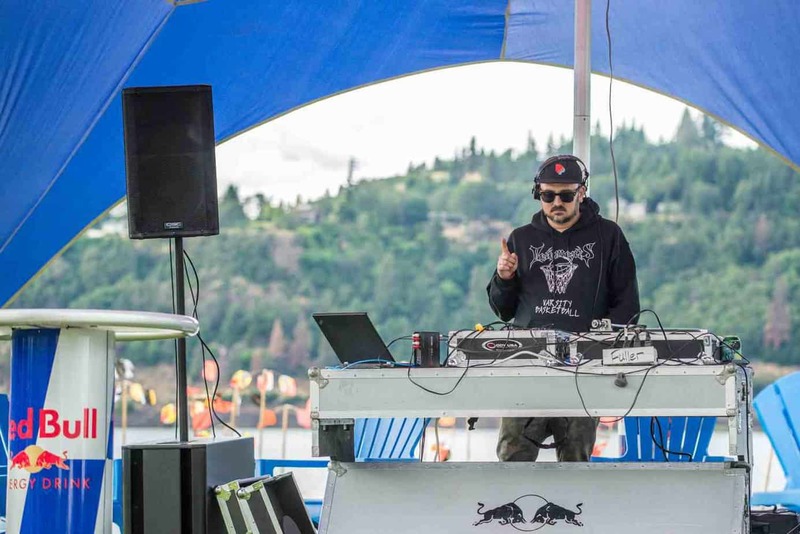 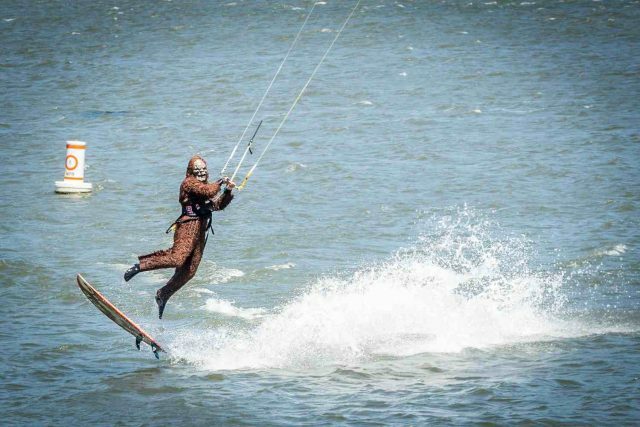 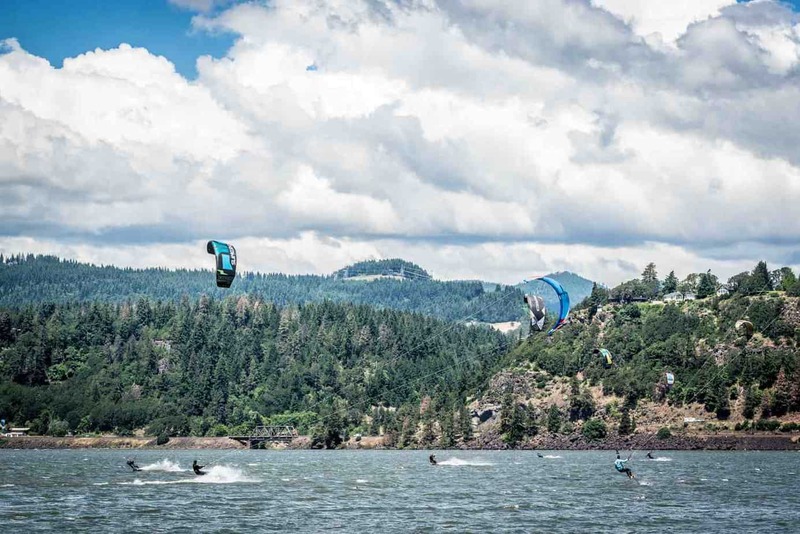 The first annual Outfound Series went down on Hood River at Oregon’s famous event site, the waterfront where much of windsurfing and kiteboarding has developed. 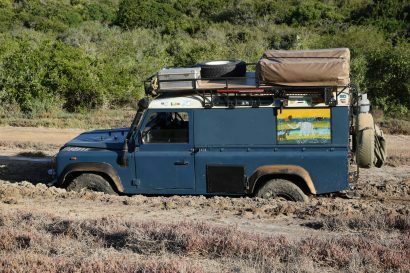 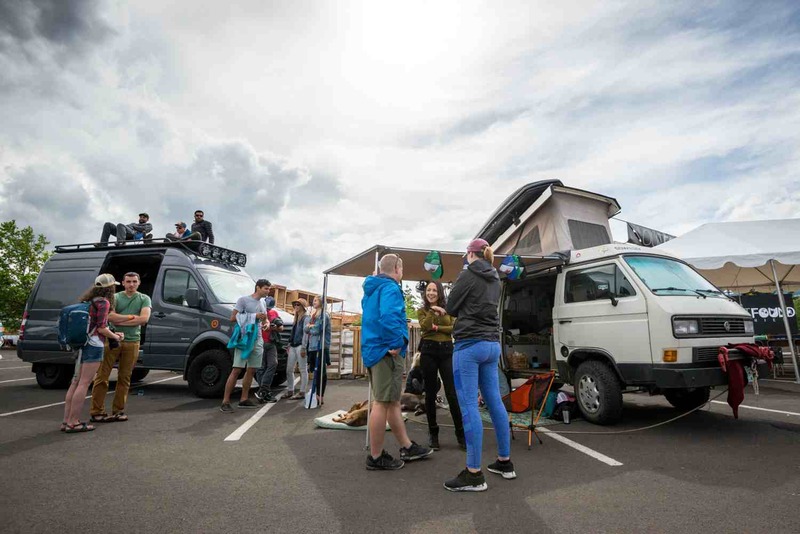 Outfound Series is all about truly inspirational speakers talking about everything from business, adventure sports, and moving full time into a van. 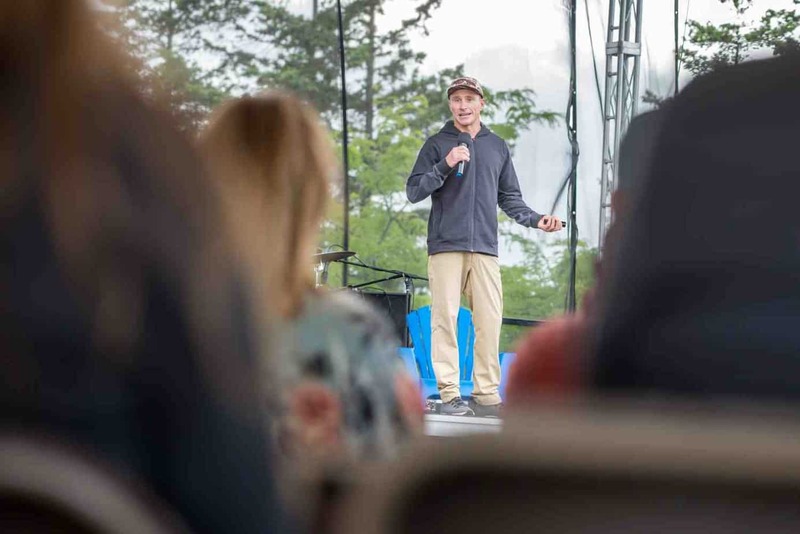 The thread throughout was outdoor adventure and the outdoor/adventure sport industry, with themes ranging from pursuing your passions, creating a legacy, managing risk, understanding the importance of time in your life and making meaningful connections. 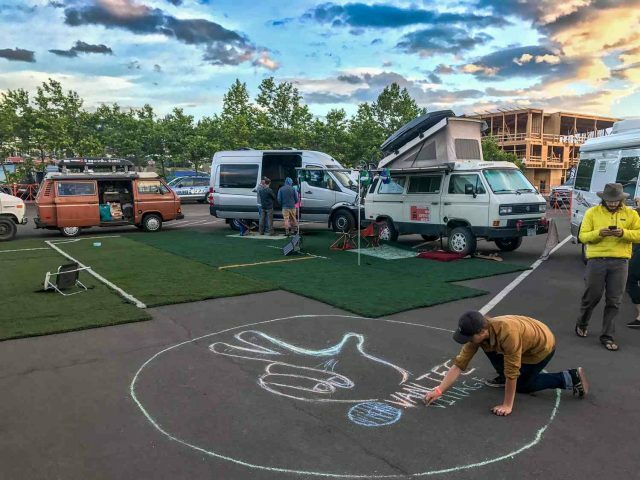 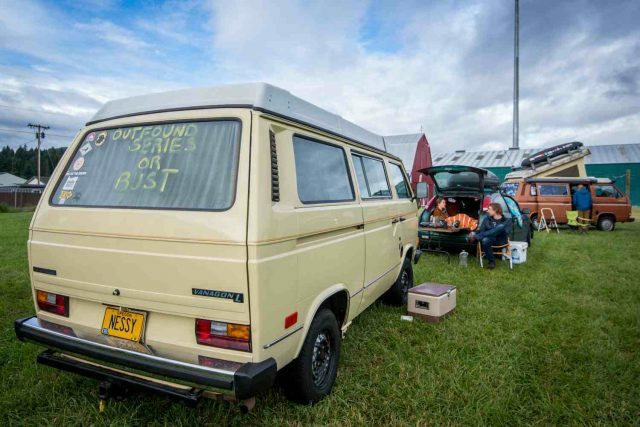 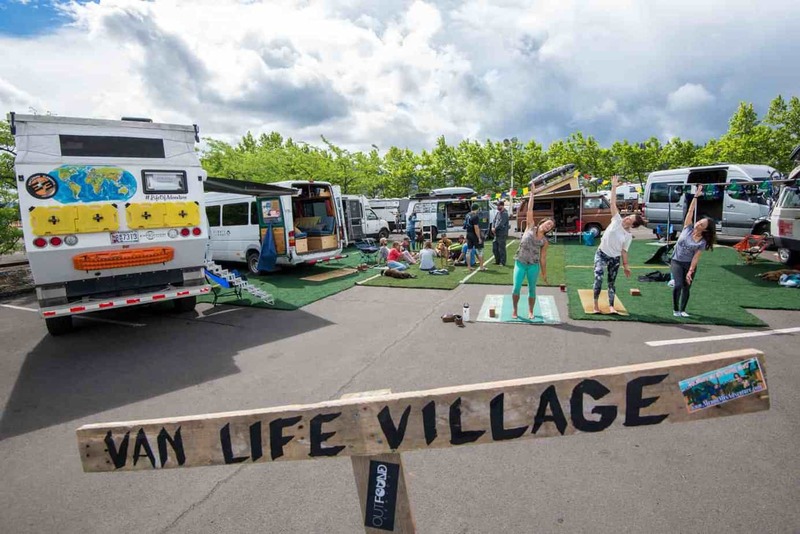 By far the most thriving area at the Outfound Series was the Van Life Village. 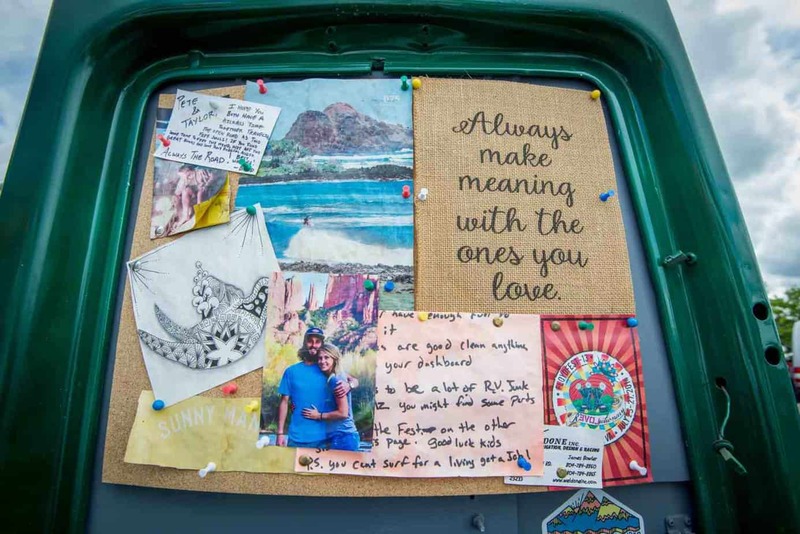 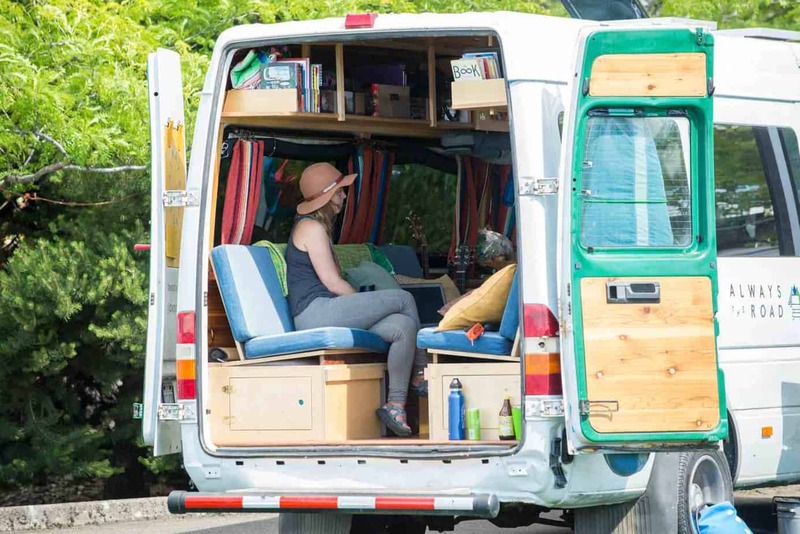 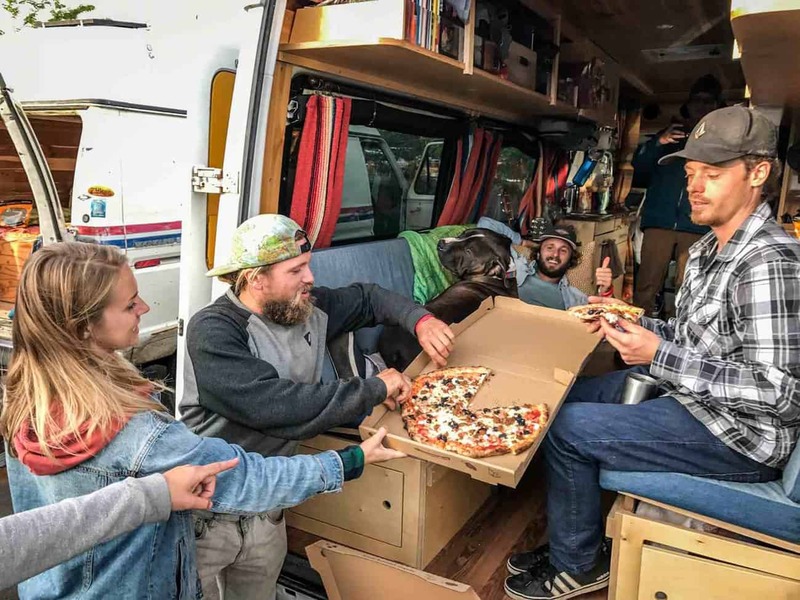 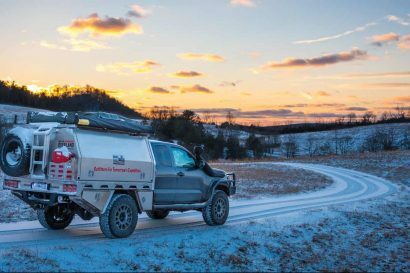 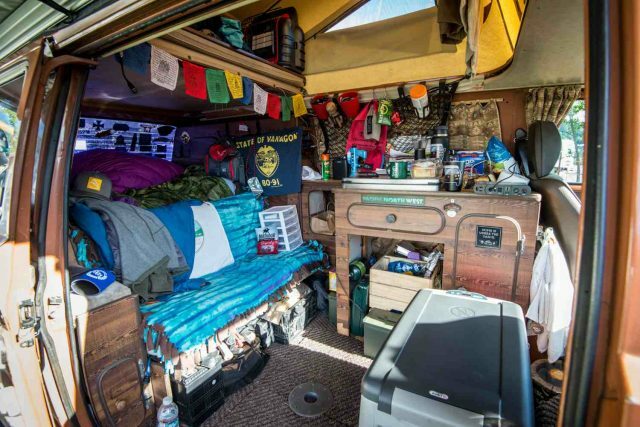 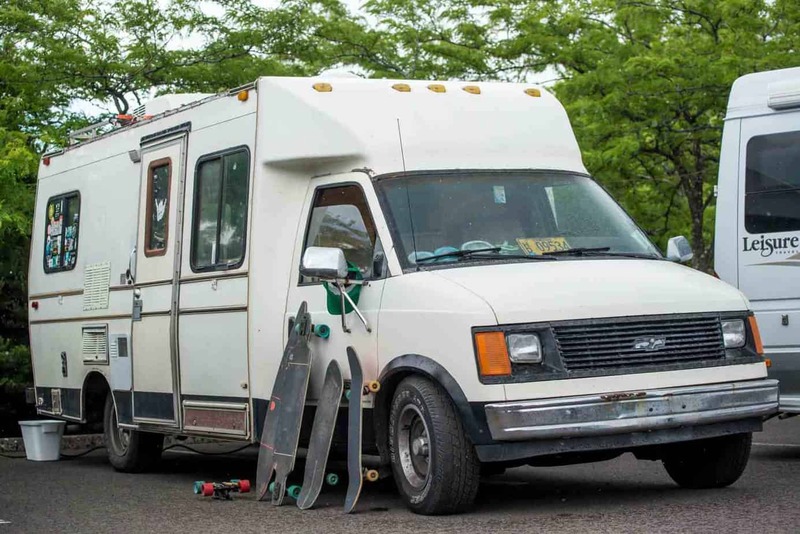 It featured a wide range of van dwellers, most of which have spent years on the road full time chasing their travel and adventure dreams. 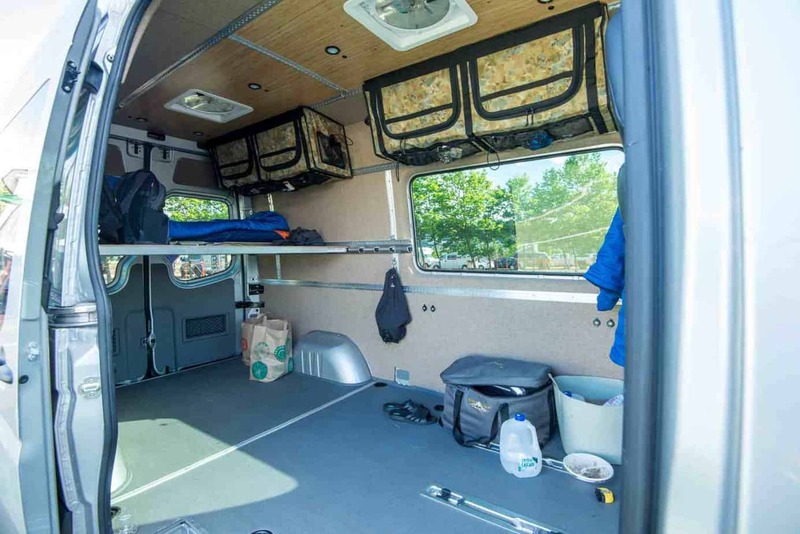 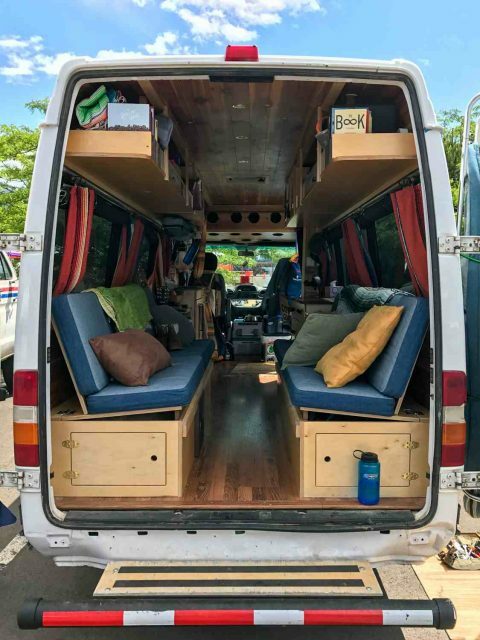 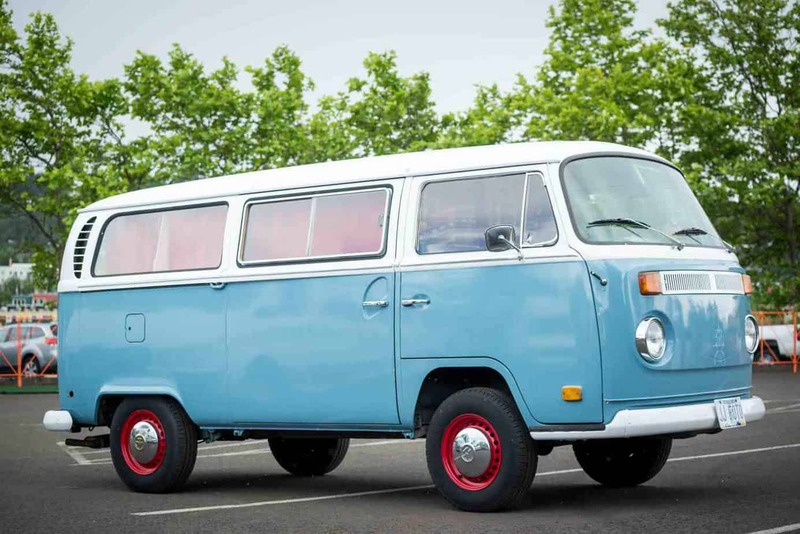 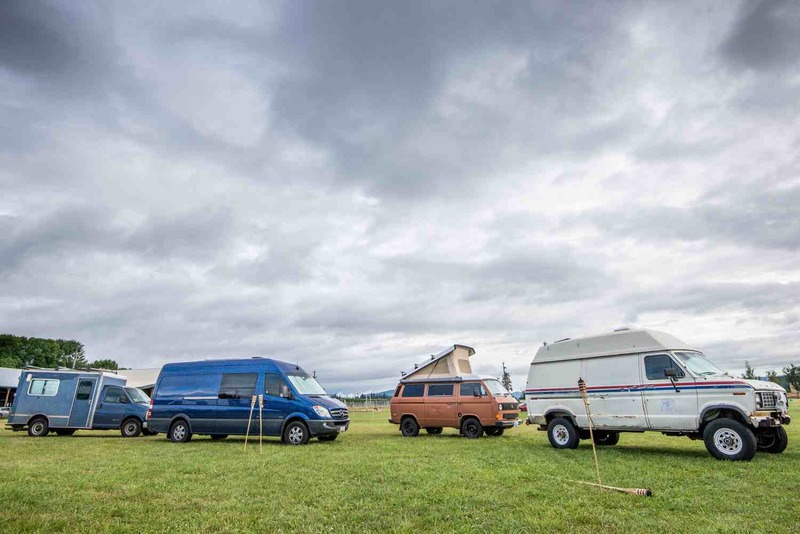 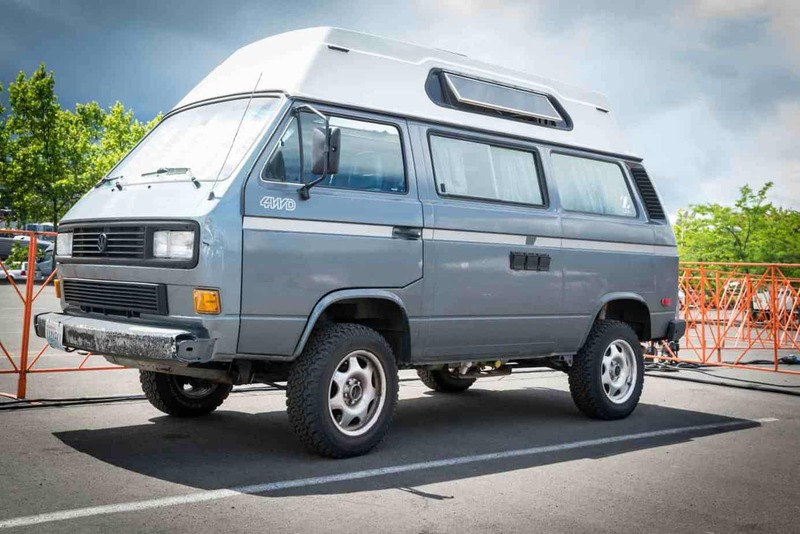 Vehicles ranged from ’70s-era Ford Mail Vans, VW vans of all sorts, many different Sprinter style builds and even my home on wheels, the Exploring Elements EEXP overland adventuremobile. 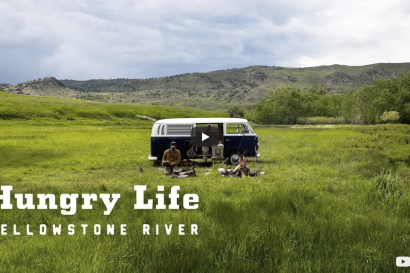 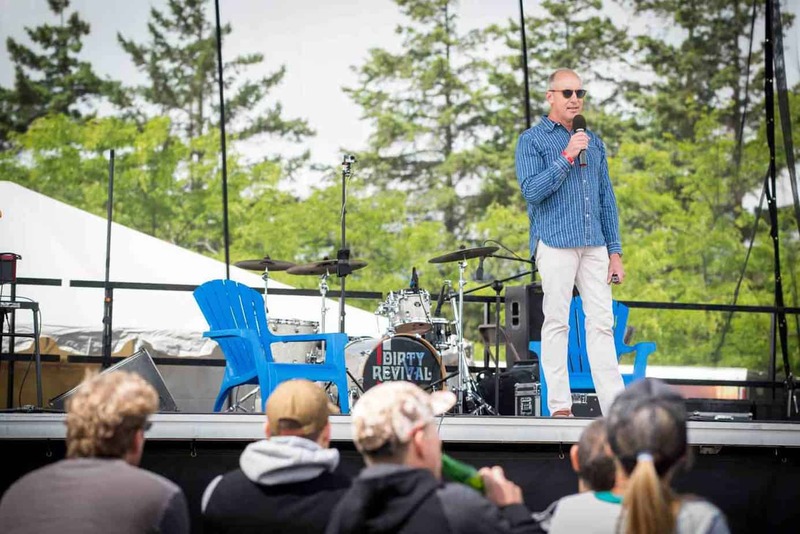 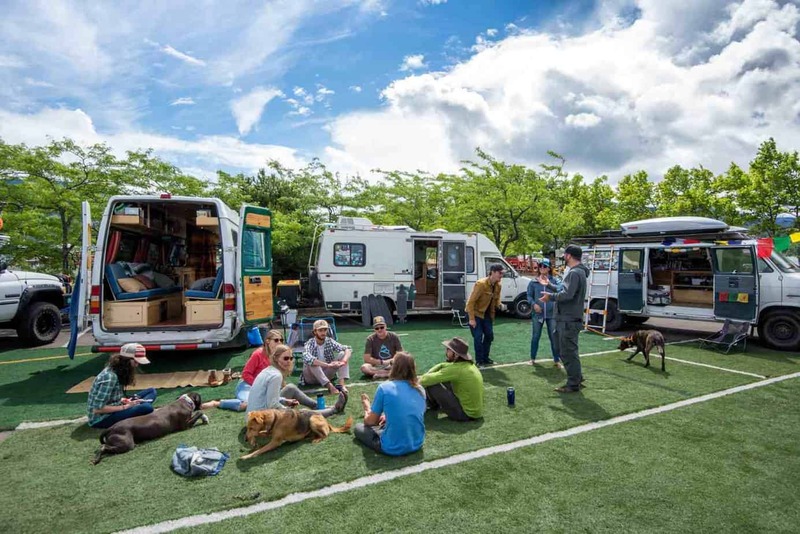 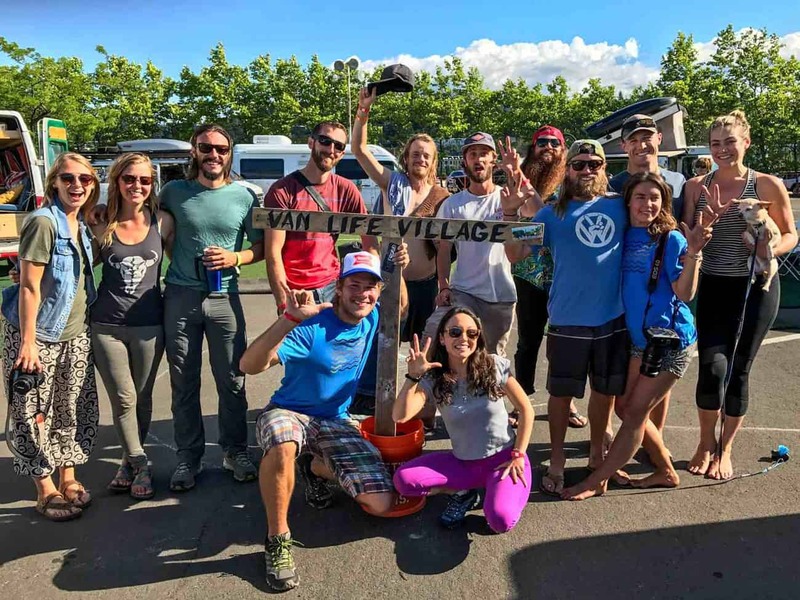 Besides the large group of diverse van dwellers, who instantly bonded over stories of life on the road, there were also tons of other fun happenings around this amazing event location. 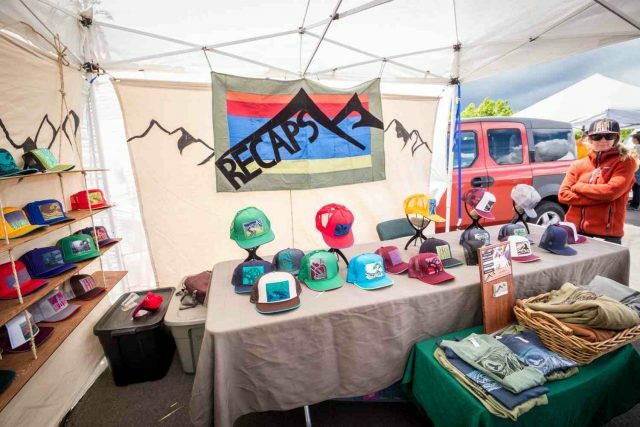 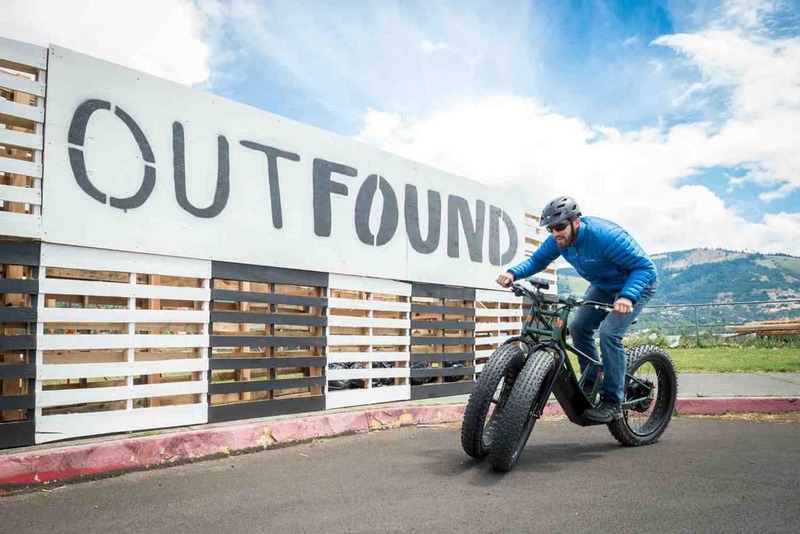 There was a vendor village that had a wide range of products that ranged from custom-made hats from ReCaps to the latest generation Rungu three-wheeled electric fat tire bicycle. 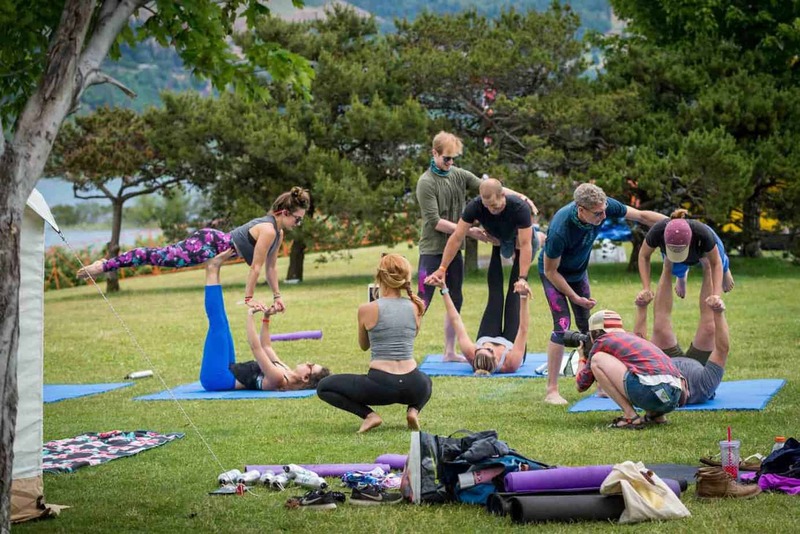 There were also slacklines, a climbing wall, skate park, slip-n-slide and other fun outdoor activities for all ages. 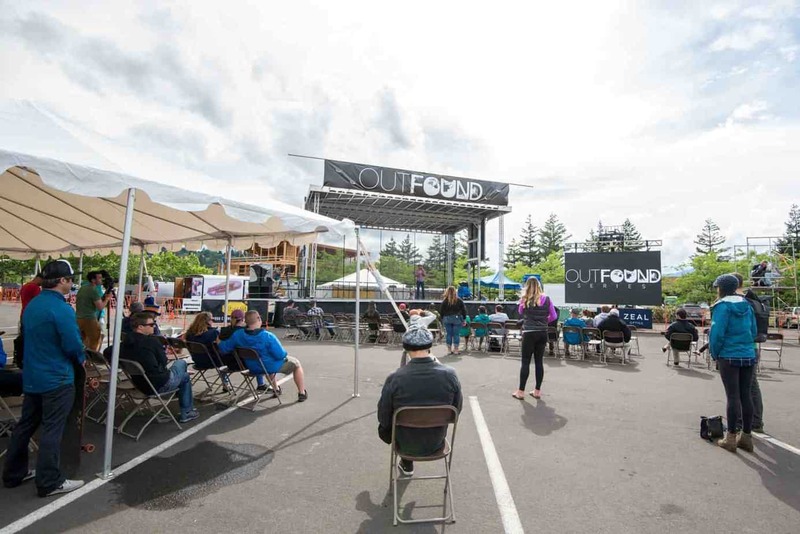 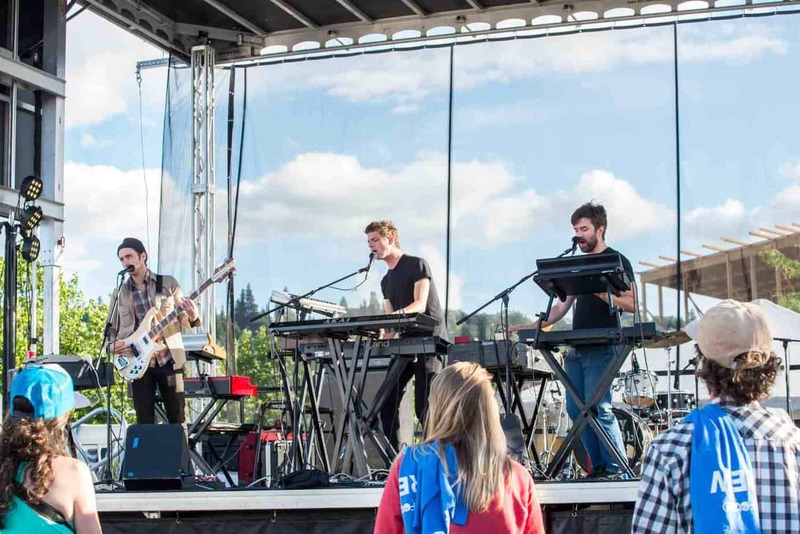 Outfound also had all the other things you’d expect from a high quality outdoor festival style event. 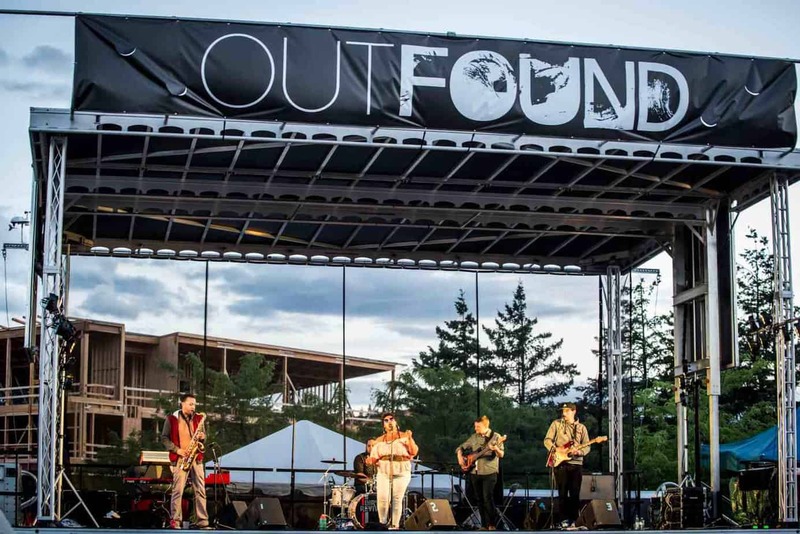 Movie premiers, outdoor short movie screenings, great food trucks, quality Dogfish Head beer, rocking live music and so much more. 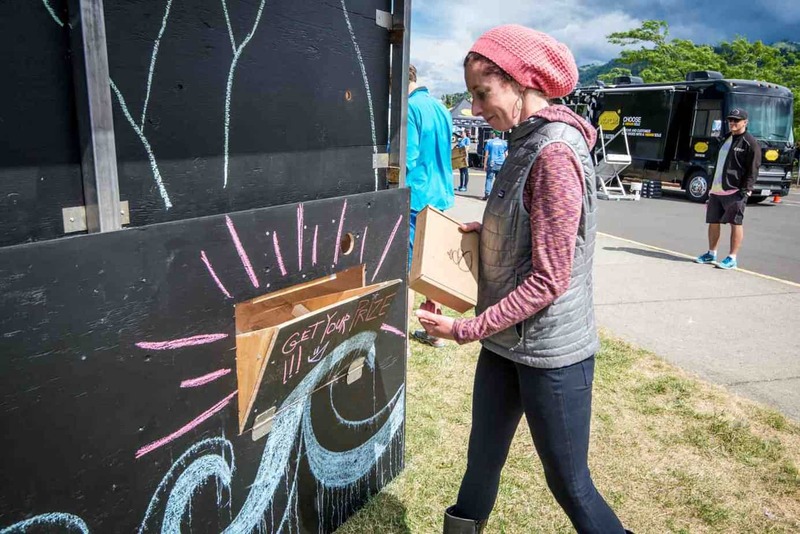 One of the most unique, interactive, and fun had to be the outdoor vending machine. 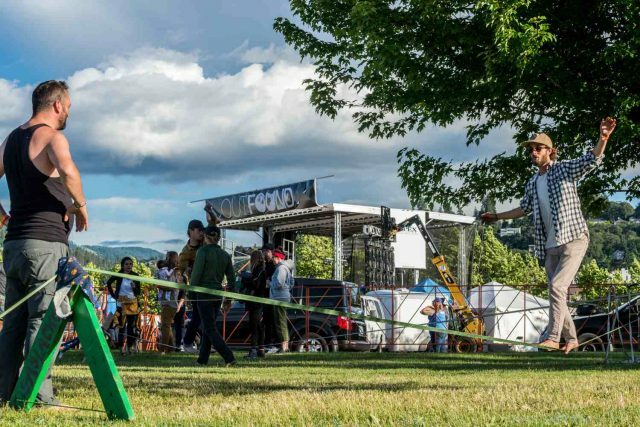 You picked an easy, medium, or hard challenge, which once completed you’d return through a slot in the vending machine to receive an appropriate prize. 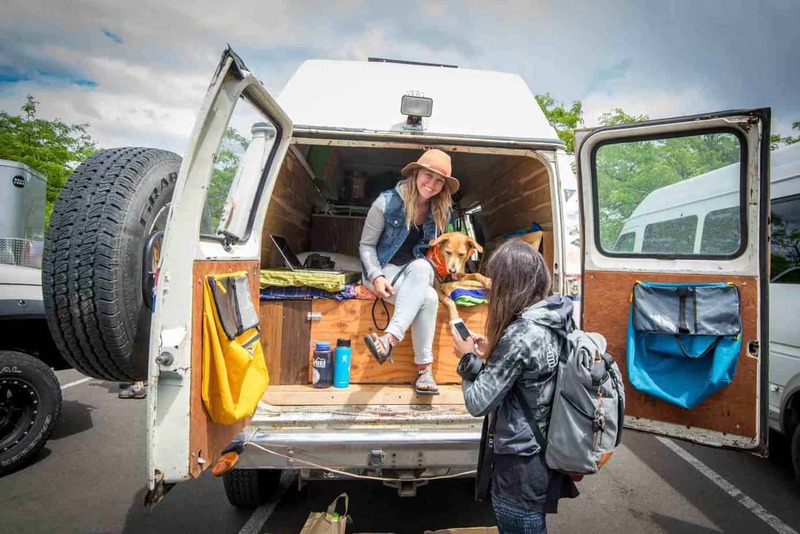 My “hard” challenge was to take photos of three dogs wearing the same shirt. 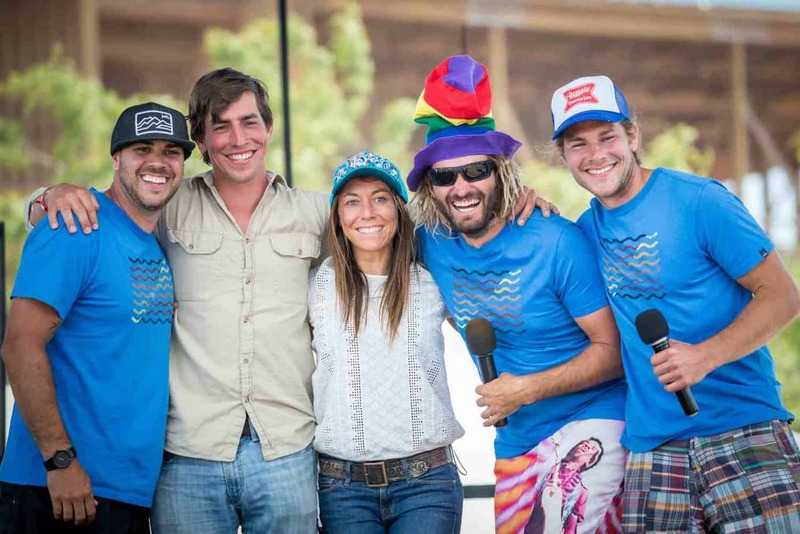 I pulled it off, and got a nice Dakine hat and Lululemon polo shirt. 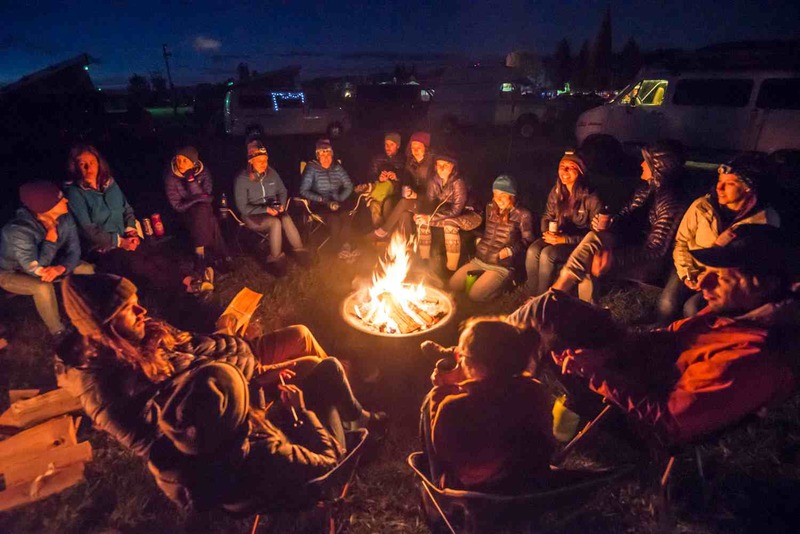 As with most events and gatherings where the overland tribe is a big part of the scene, the camping and tales told around the campfire each night were the highlights of the event for many. 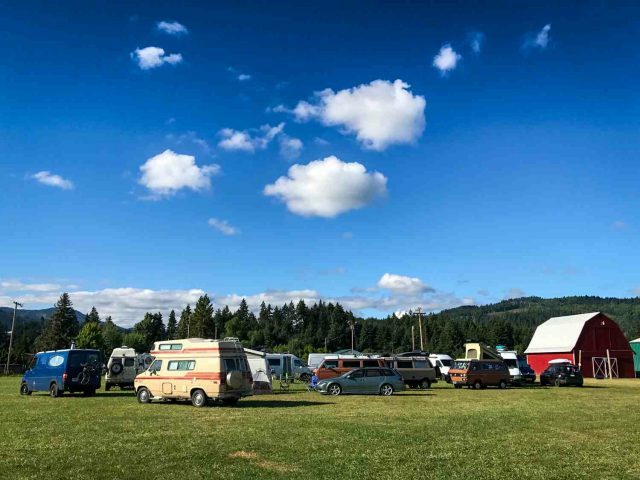 Camping was at the beautiful Hood River County Fairgrounds, where many stories were told and songs sung around the campfire. 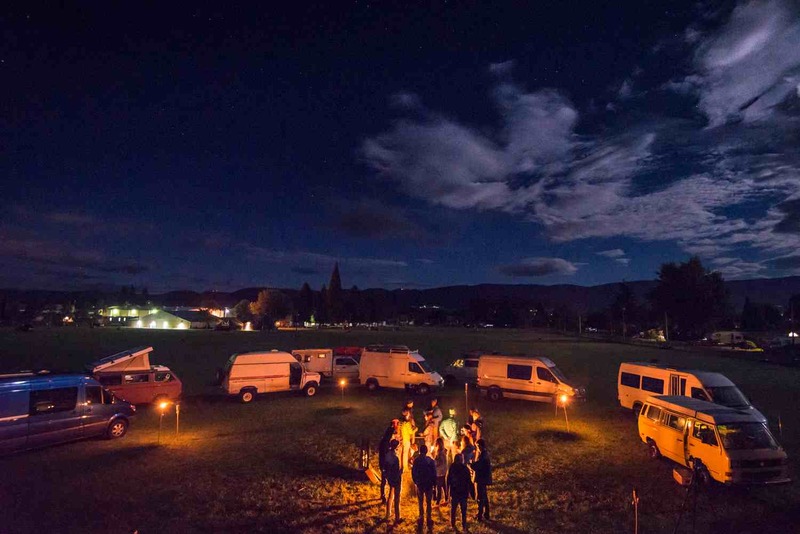 A highlight had to be the band Stereo RV joining the campfire for an impromptu jam session, after playing on the main stage earlier that night. 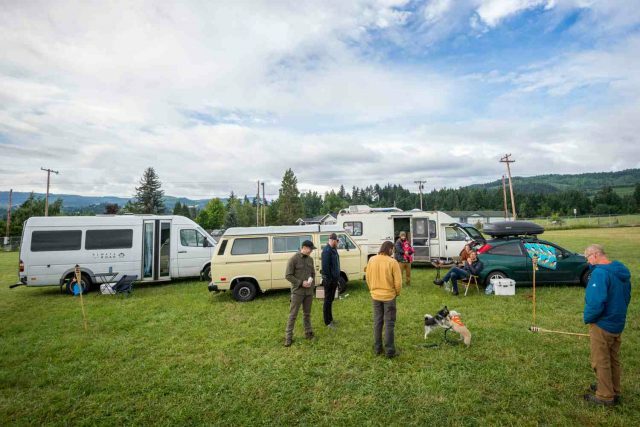 To top it off, the fairgrounds have really nice, free, hot showers, which were a big hit with the van life crowd.